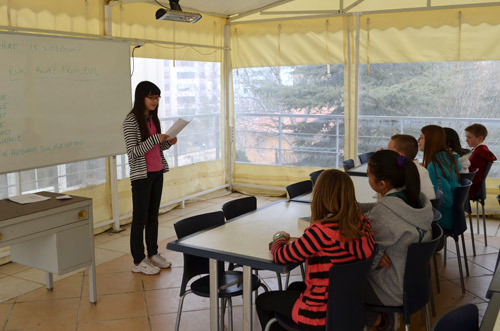 I teach a class for seventh and eighth graders called Personal Management. 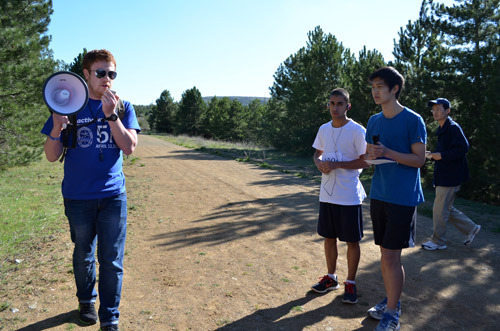 The purpose of this class is to help teens establish life skills and develop healthy habits. As a class, we have been studying and just finished Sean Covey’s The 7 Habits of Highly Effective Teens. One of the chapters focuses around synergy (a term my class insists I’ve overused). The basis of synergy, according to Covey, is working together to achieve more. 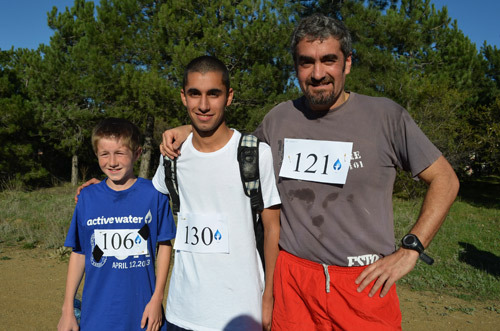 As a follow-up project, I helped my class organize a 5K race to raise funds for ActiveWater. 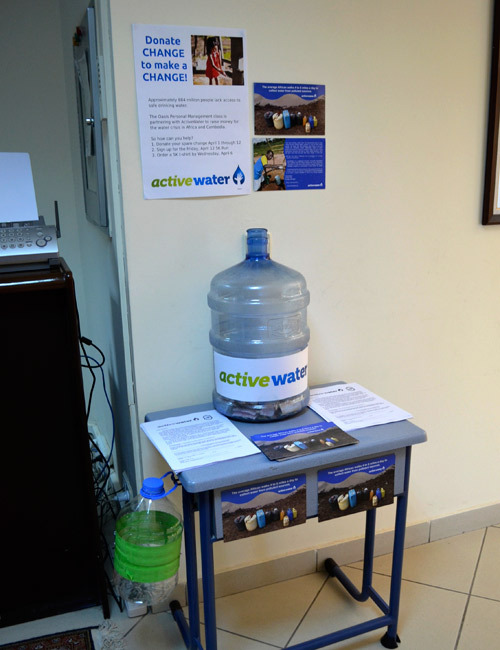 According to their website, “ActiveWater is a registered 501(c)(3) nonprofit organization that uses the athletic lifestyle and grassroots campaigns to bring clean water and sanitation projects to needed communities throughout the globe.” ActiveWater focuses on installing wells and bio-sand filters, while also training individuals to repair them. 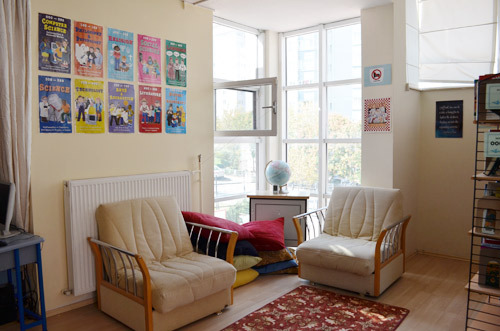 I thought this project would give students a chance to step out of the Oasis bubble and participate in something that would help them learn about the needs of others. 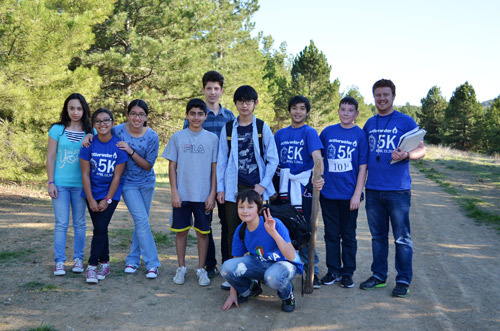 In the weeks leading up to the 5K, my students prepared forms, posters, and presentations. Several of my students designed games for the fifth and sixth grade classes to help communicate the difficulties people encounter every day in order to get clean water. My students had so many great ideas. One suggested setting up a water carboy for donations. Another student came up with the idea to pass a smaller jug around at lunch to collect spare change. We received several donations through these two ideas and both were a major part of our fundraiser. Another way we earned money was by selling t-shirts for the 5K. One of my students had an idea to hold a Blue-Out day to raise awareness. 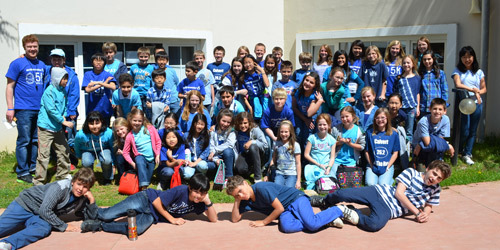 On the day of the race, students could pay 1 lira to wear blue instead of dress code requirements. Several students wore their race t-shirts. I split my class into different committees with different roles. One group worked the registration desk on the day of the race. They did a great job representing Oasis and ActiveWater. It was the first time I had organized an event like this, so I was a little nervous. However, with the help of several friends, my concerns were put to rest. 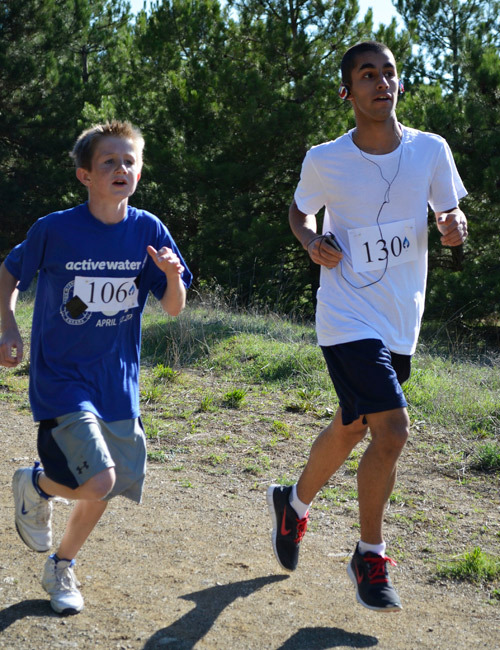 I realized most of the people at the race were happy to run and make a difference. They were not concerned about technicalities. Although you can’t see them all here, there were over 40 participants in the race. There were several who even made it a family event. 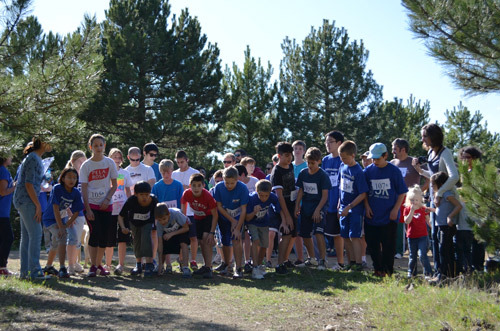 Elementary students, high-school students, and adults all lined up at the starting line. And then they were off!!! We had three age categories: fifth through eighth graders, high schoolers, and adults. 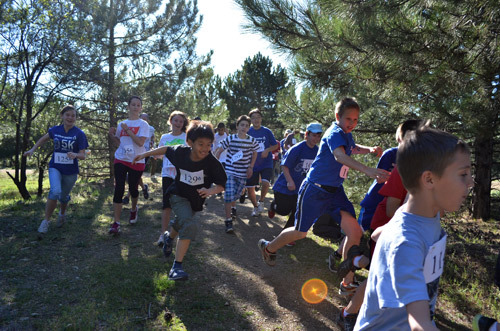 Winners from each age division were given a gift card to a local athletic store. I was so proud of my personal management class. It was a lot of fun to see the students get excited. I hope it will have a lasting impact on their lives. 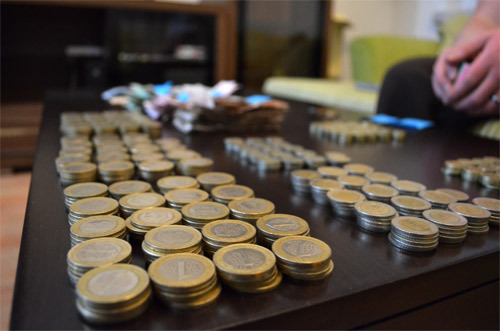 Through all of our efforts, we raised over 1600 Turkish Lira (close to $950!). But most importantly, the students, runners, volunteers, parents, and I got to be a part of something bigger than ourselves. On a personal note, I learned a lot through this experience. I toyed around with the idea several times before sending an email to ActiveWater. 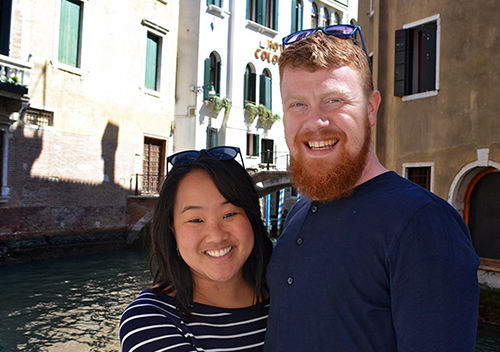 This project helped me become more passionate about helping those who are less fortunate than myself, something my Christian faith calls me to do. The support of the students, teachers, and administration was amazing and made me wonder why I ever doubted if it could work. Many thanks to Amie at ActiveWater for the encouragement and many ideas she passed along during the planning process. She even took time out of her morning to Skype with my class. And many thanks to my students for their ideas and ambition to make a difference in the world. 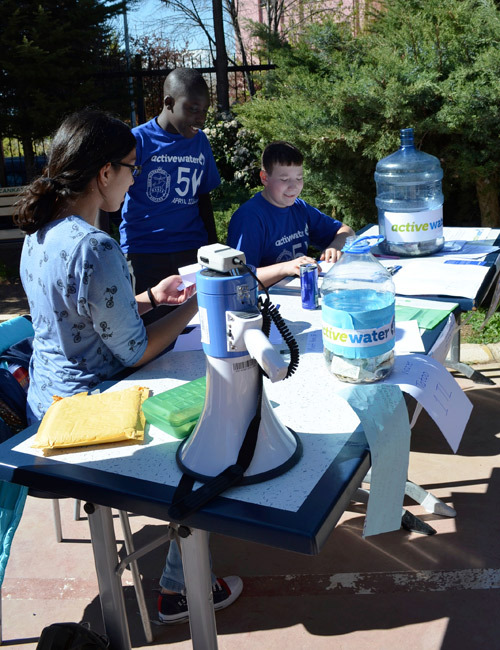 Learn more about ActiveWater and how you can get involved at www.activewater.org. 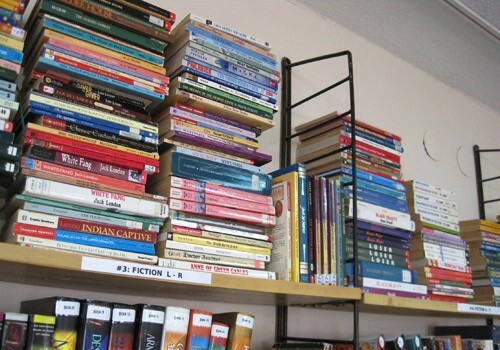 This is a great thing you did in increasing the awareness of your students to serve others. You guys are a great gift to your students. Clean drinking and bathing water can reduce up to 80% of infectious and parasitic diseases (look at WHO statistics). Thanks for sharing.